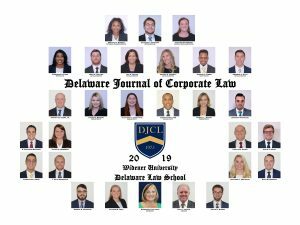 Membership on the Delaware Journal of Corporate Law provides experience necessary to success in the practice of law, and for this reason, law review membership is the number one criterion sought by most employers. Working on the Journal will provide you with an invaluable experience that will improve your writing, research, and analytic skills far beyond what the traditional law school curriculum provides. Not coincidentally, most graduating members of the Journal have already secured employment with some of the area’s elite law firms and coveted judicial clerkships. As a nationally recognized law review, and a forum for prestigious authors, the Journal‘s articles, notes, and comments serve as a source for courts and other law reviews. Harvard Law Review, Yale Law Journal, Michigan Law Review, and Stanford Law Review are among the law reviews citing to the Journal. Locally, the Supreme Court of Delaware and the Delaware Court of Chancery cite to the Journal. Our authors, meanwhile, are among the nation’s most prominent; a recent study of specialized law reviews by the University of Missouri School of Law ranked the Journal 18th out of 284 law reviews based on the authors who have published articles in our journal. Staff members of the Journal are exposed to an array of legal disciplines, and can choose to write articles on their areas of interest with the prospect of publication. You will develop an understanding of corporate and business law that goes beyond classroom instruction. The scope of the Journal, however, exceeds its corporate law focus, touching on all areas within the American Bar Association’s Section of Business Law. These include, among other areas, Criminal Law; Environmental, Energy, and Natural Resources Law; Health and Biotechnology; Intellectual Property; International Business Law; and Professional Conduct. You will also have the opportunity to edit articles chosen for publication in the Journal – a task in which all members are actively engaged in – and participate in the peer-review process by which members’ work is evaluated. By joining the Journal, you will become a part of a journal with a nearly forty year history of excellence, and a network of jurists, practitioners, and legal scholars who have served as staff members and editors of the Journal. This network consists of attorneys who have excelled in the legal profession due, in part, to the rigorous, yet rewarding, opportunities that come with Journal membership. Membership on the Journal provides both regular division and evening division students with invaluable experience and an impressive qualification in the eyes of employers. 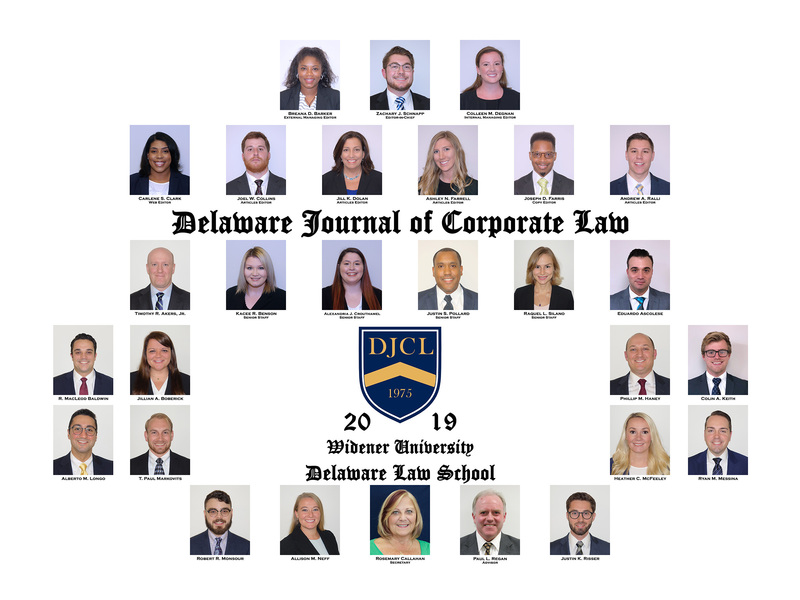 I encourage you to take a moment to visit us in Polishook Hall or contact us at DJCL@Widener.edu to learn more about the many benefits of membership on the Delaware Journal of Corporate Law.